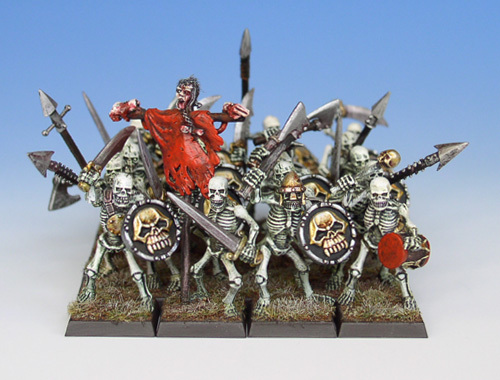 A small undead retinue created to accompany my vampiresse. The retinue is executed in an army-painting style that used both drybrushing and more delicate painting for selected details such as the gold areas which are a glazed with Tamiya Clear Orange. Central for the retinue is the strong colour palette of Gold, Red, Black and White.